Data collecting resources help all of these above mentioned areas in getting relevant answers to their questions and evaluate outcomes that can predict the future trends and probabilities. Conventional data collection method– This technique follows conventional methods of collecting data in manual hand written form. Then it is further digitized by the method of key-stroke entry done on computer. This method is convenient if the complete procedure of manually analyzing the data takes place in an in-house setting. Outsourcing of such work can be costly time taking. Conventional method of data collection is best when dealing with open ended qualitative data. OCR Technology– Optical Character Recognition is a technology that reads handwritten data and transforms it to the digital form instantly. It is less time consuming and inexpensive, but it comes with its own limitations. It cannot read regional languages which becomes a drawback while using it in rural areas where workers have no idea of English. – Creating In-house setup: Organizations that are involved with regular data collecting work are most suitable for this category. They can create their own OMR setup which reduces the turnaround time and increases accuracy. – Outsourcing to an optical mark recognition software provider- Companies that collect data in smaller volumes can easily outsource the task to some good provider of OMR sheet reader software that also design and evaluate the sheets. This saves the cost on initial setup and is also affordable as the charges are mostly dependent on the number of pages. Mobile technologies/PDAs – Where one has to collect real time live data, over there the application of mobile technology is preferable. This technology helps in many other ways, such as collecting instant health related requirements of a patient suffering with some acute illness for immediate response, or tracking an outbreak of some disease. It is also useful in collecting free as well as close text data. – Turnaround time- In manual process it takes around 7 to 10 days to process 300 sheets whereas with OMR bundles of sheets can be processed in just few minutes. – Usability- Team that is involved with manual processing of data collection requires a certain level of expertise. With OMR there is no need to have any prior knowledge of the software; functionalities are dedicated to carry out a specific task. Even to read the sheets there is an inbuilt feature of OMR sheet reader in the software. – Error- Manual procedures to collect data are high at error whereas OMR based data collection ensures 100% accuracy. – Versatility- Manual method of data collection is useful while handling open ended qualitative data. OMR is applicable on a much wider basis and can be easily used to collect any type of large scale data. 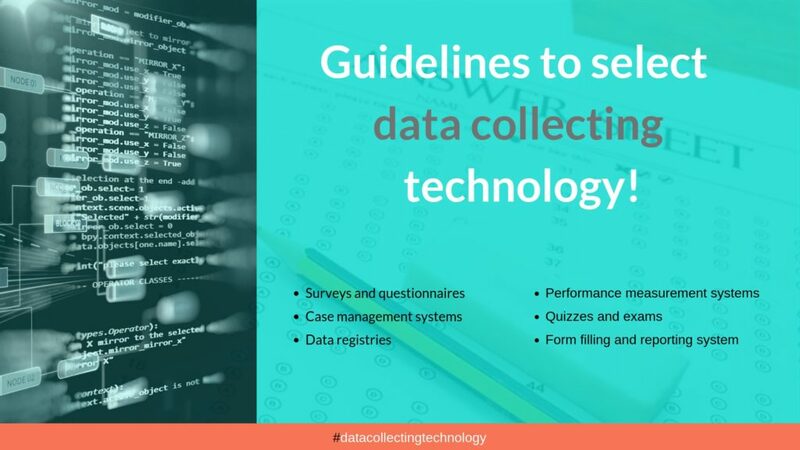 One of the main steps that need to be taken in data collection is to decide upon an appropriate technology that should be in line with the complete plan. Till now the best technology that has been introduced in this field is that of OMR. By critically analyzing the above mentioned differences and benefits of OMR over conventional methods of data collection, it becomes evident why many Government agencies have shifted to Optical mark reader software to conduct large scale surveys effectively. Previous Post:An informative guide to the process of OMR Sheet Evaluation! Next Post:OMR software Process – Designing to evaluation of OMR sheets defined!